From the parking area, take the well-groomed trail east into the woods along the perimeter of the lighthouse compound. A wooden boardwalk and stairway lead down to the viewing area where you can catch a shot of the lighthouse with the rugged coastline in the foreground You can randomly scramble on the rocks to get a better view, but take care as many of the rocks (especially those covered in black slime) are notoriously slippery. Back at the parking lot, you can also walk around to the right (west) to stand right next to the lighthouse and bell; please obey all posted signs. One extra option for those looking for a random hike is to follow an old trail of use east from the top of the wooden stairway. 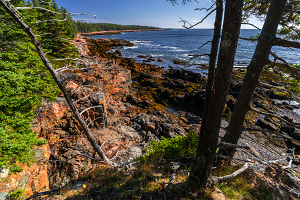 This faint old trail has fallen out of use, but it continues along the coastline for about half a mile, offering views and access of the coastline. While not as dramatic as the scenery along Ocean Path, the views are quite nice. Please stick to the main trail and avoid trampling plantlife as much as possible. 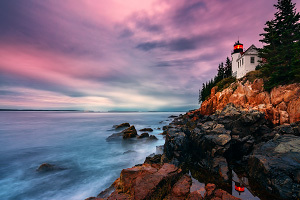 The Bass Harbor Head Lighthouse is a landmark that every Acadia visitor must see! 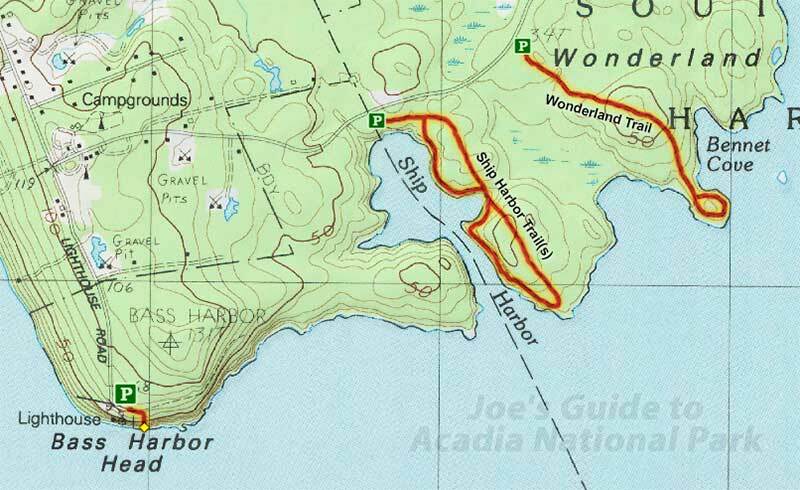 Tie this in with a family-friendly hike along Wonderland and/or the Ship Harbor Trail.